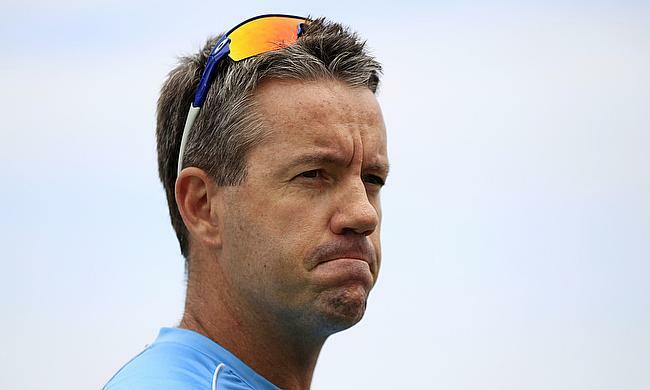 West Indies coach Stuart Law has been fined by International Cricket Council after he was seen questioning an umpire's decision during the third and final Test against Pakistan in Dominica. 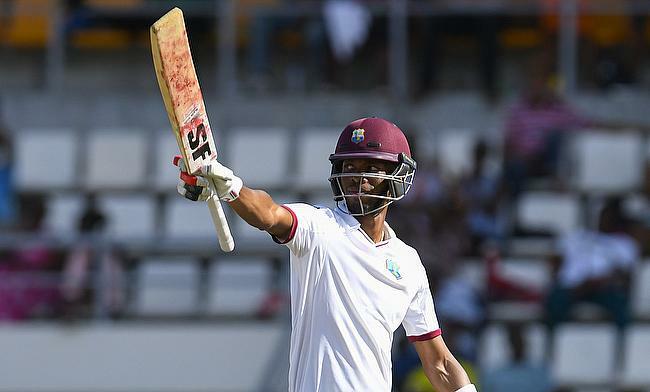 An unbeaten century from Roston Chase was not enough for West Indies as they were dismissed in the penultimate over of the final day as Pakistan completed a 101-run victory in the third and final Test in Dominica to wrap up the series 2-1. 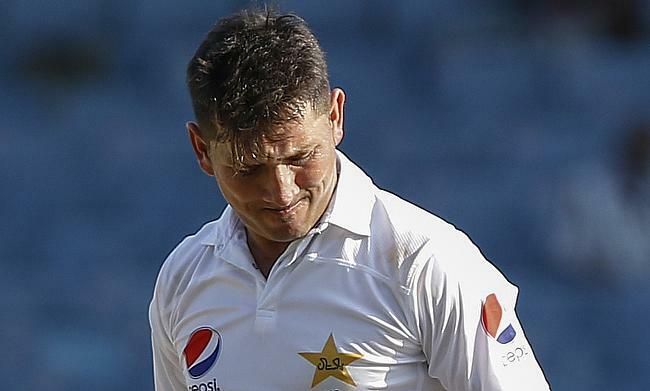 After Pakistan set a target of 304 runs for West Indies in the final innings, Yasir Shah managed to remove Kieran Powell in the final delivery of day four to leave the hosts reeling at seven for one in the third and deciding Test in Dominica. 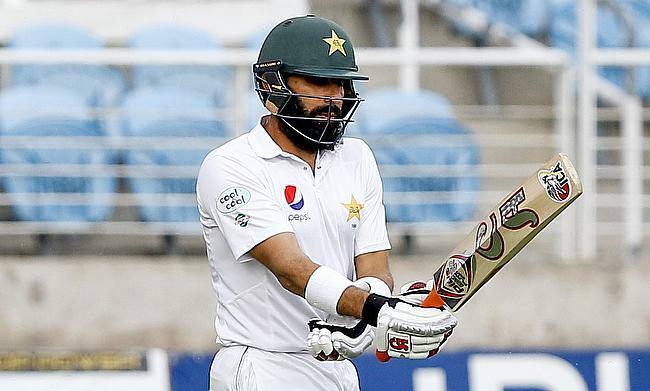 Roston Chase was among the runs once again before retiring hurt but Pakistan did well to restrict West Indies to 218 for five at stumps on day three of the third Test in Dominica. 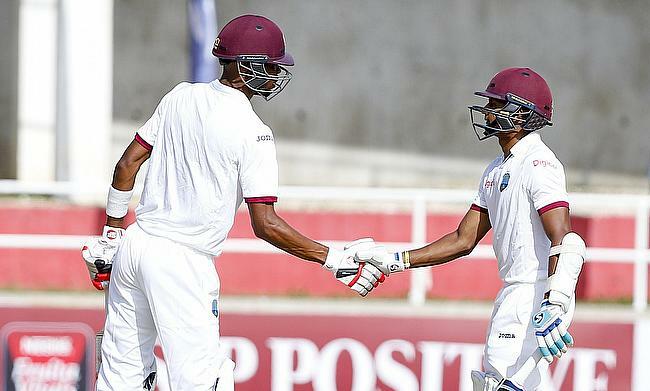 Roston Chase and Jason Holder shared seven wickets between them to help West Indies stage a comeback as they picked the final seven wickets for 135 runs to dismiss Pakistan for 376 in the first innings of the third Test in Dominica. 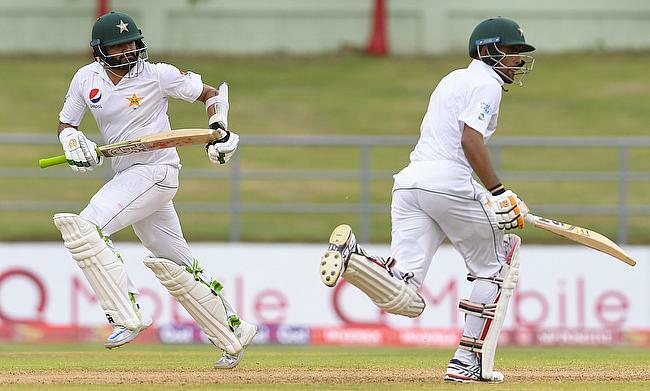 Azhar Ali remained unbeaten on 85 while Babar Azam scored a fifty as Pakistan reached 169 for two on a rain hit day one where only 69 overs were possible in the third Test in Dominica. 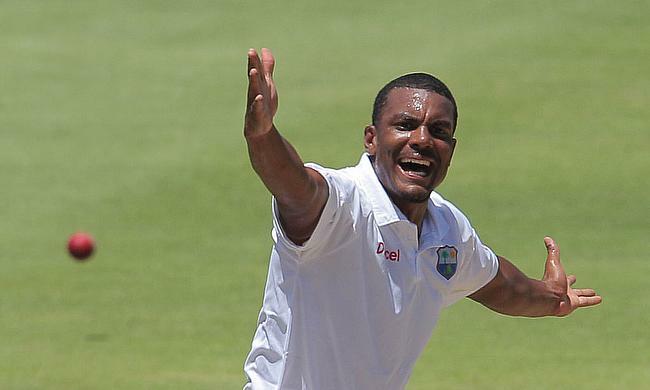 For picking a nine-wicket haul in the second Test against Pakistan and helping West Indies level the series 1-1, fast bowler Shannon Gabriel is the Cricket World Player of the Week. 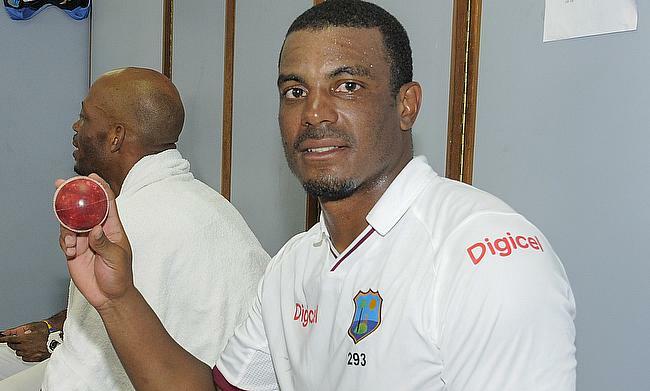 Shannon Gabriel picked a nine wicket haul in the game as West Indies dismissed Pakistan for 81 runs in the final innings to seal a 106-run victory in the second Test in Barbados and level the series 1-1. Yasir Shah picked a six-wicket haul as Pakistan restricted West Indies lead to 183 runs with one wicket in hand at stumps on day four of the second Test in Barbados. 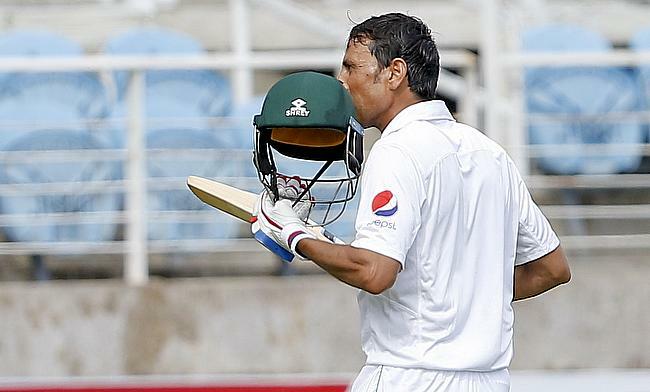 After century from Azhar Ali and a 99-run knock from Misbah ul Haq helped Pakistan gain a 81-run first innings lead, Mohammad Abbas managed to remove Kieran Powell early in the second innings to restrict West Indies to 40 for one at stumps on day three of the second Test in Jamaica. 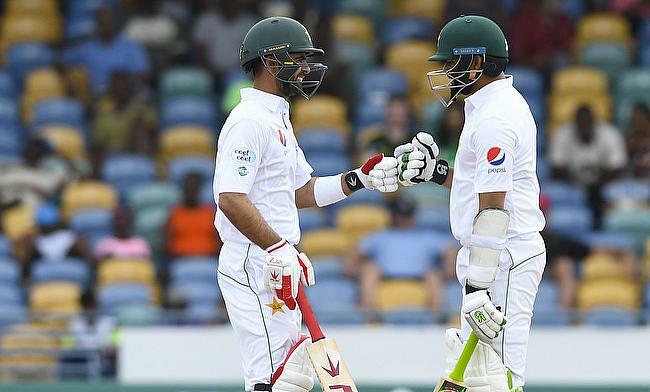 After Azhar Ali and Ahmed Shehzad shared a 155-run opening stand, West Indies struck late with three quick wickets to restrict Pakistan to 172 for three at stumps on day two of the second Test in Barbados. 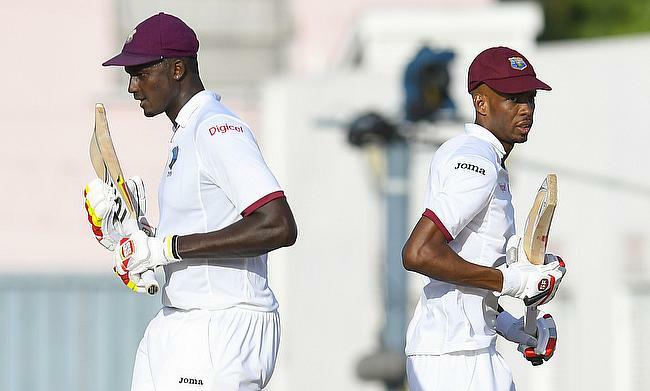 After Pakistan bowlers restricted West Indies to 107 for five, Roston Chase and Jason Holder helped the hosts recover with their unbeaten 179 run stand to take them to 286 for six at stumps on day one of the second Test in Barbados. 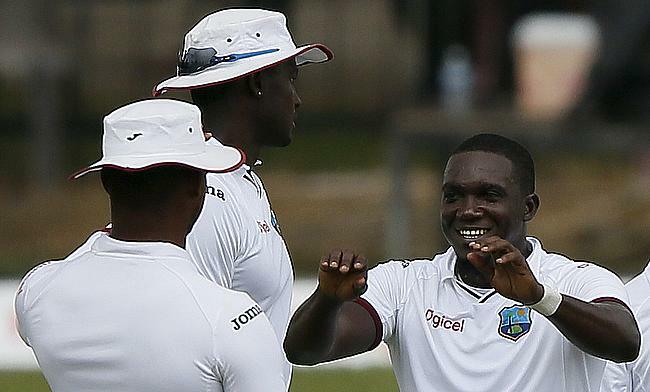 West Indies have retained the 13-man squad for the second Test against Pakistan at Kensington Oval, Bridgetown in Barbados. 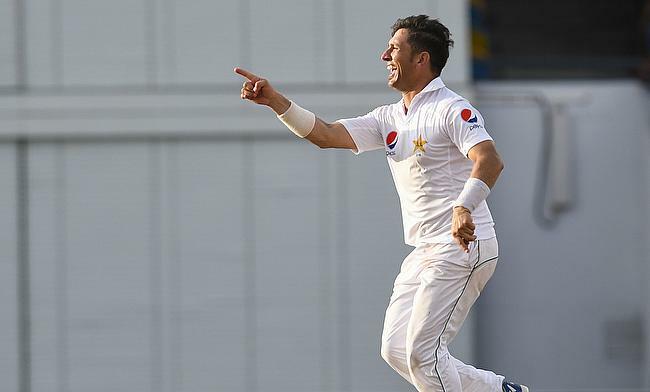 Yasir Shah picked a six wicket haul to bowl out West Indies for 152 runs in their second innings following which Pakistan chased down the target of 32 runs with seven wickets in hand to win the first Test in Jamaica and take a 1-0 lead in the series. 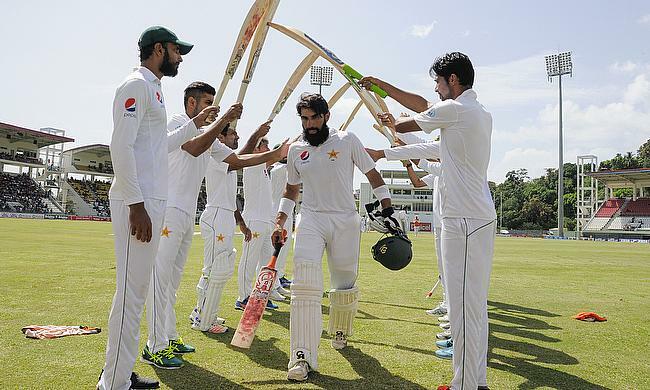 After Misbah ul Haq's unbeaten 99 helped Pakistan post 407 runs in their first innings, Yasir Shah picked a four-wicket haul to restrict West Indies to 93 for four at stumps on day four of the first Test in Jamaica. 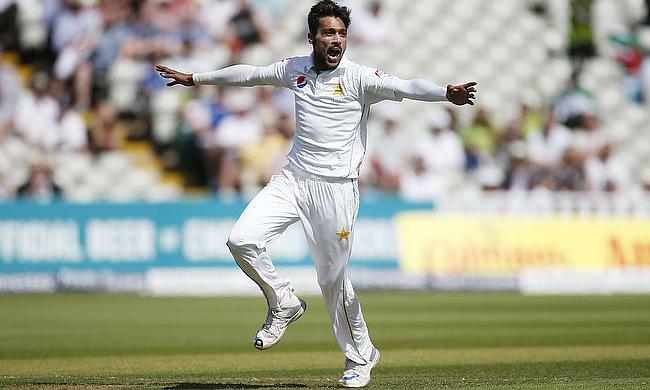 Mohammad Amir registered his career best figure of six-wicket haul to dismiss West Indies for 286 runs following which Pakistan responded back with a score of 201 for four at stumps on day one of the first Test in Jamaica. 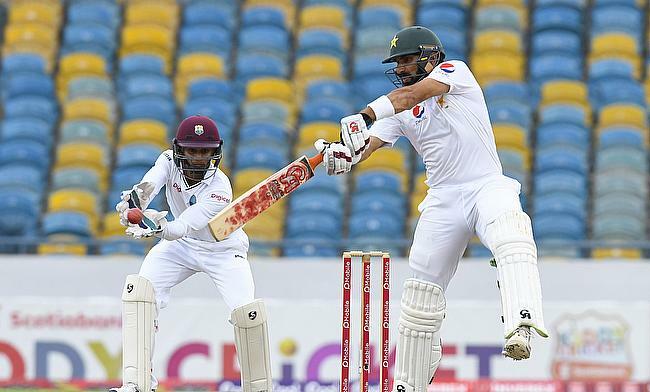 Mohammad Amir went on to complete a five-wicket haul while Jason Holder reached his half-century as rain restricted play on day two to just 75 deliveries in the first Test between West Indies and Pakistan in Jamaica. 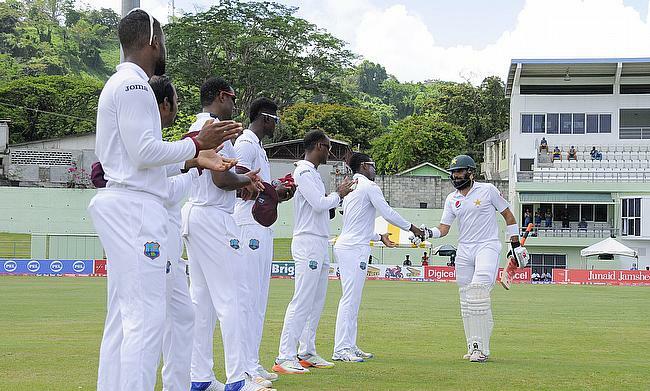 After a three-wicket haul from Mohammad Amir dented West Indies top order, the lower middle order came to the rescue of the hosts as they reached 244 for seven at stumps on day one of the first Test against Pakistan in Jamaica. 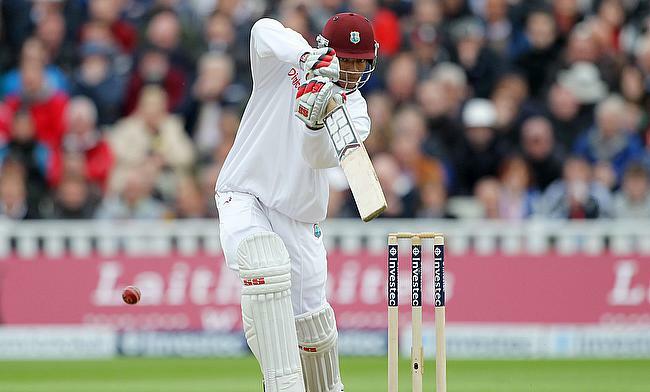 West Indies have recalled opening batsman Kieran Powell for the first Test against Pakistan scheduled to be played at Sabina Park. 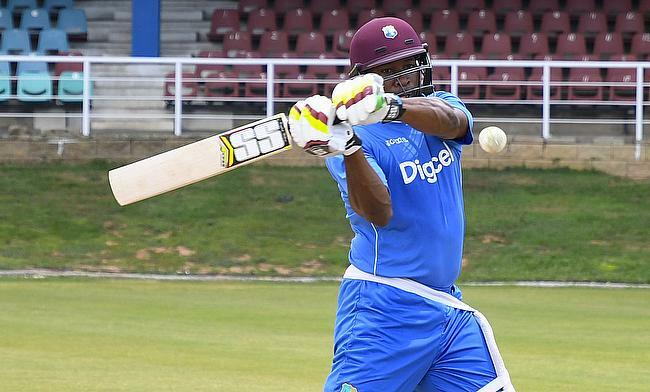 Damion Jacobs picked a four-wicket haul to dismiss Pakistan for 192 runs following which Kieran Powell smashed an unbeaten 84 to help West Indies President's XI to 152 for two at stumps on the final day of the tour game in Jamaica that ended in a draw. 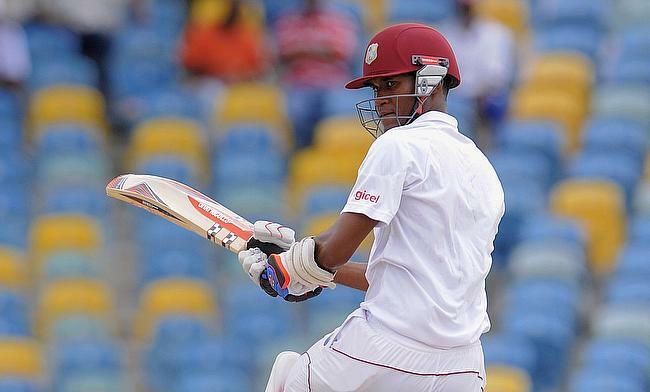 Shimron Hetmyer and Vishaul Singh scored 97 and unbeaten 81 respectively as West Indies President's XI scored 311 for five at stumps on day one of the tour game against Pakistan in Jamaica. 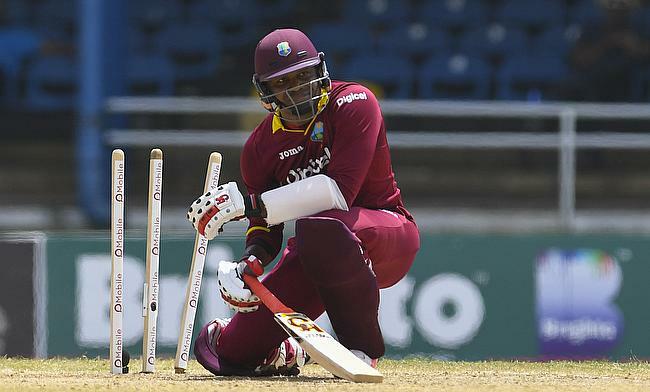 West Indies speedster Jerome Taylor has announced his decision to return back to Test cricket after deciding to quit the format earlier. 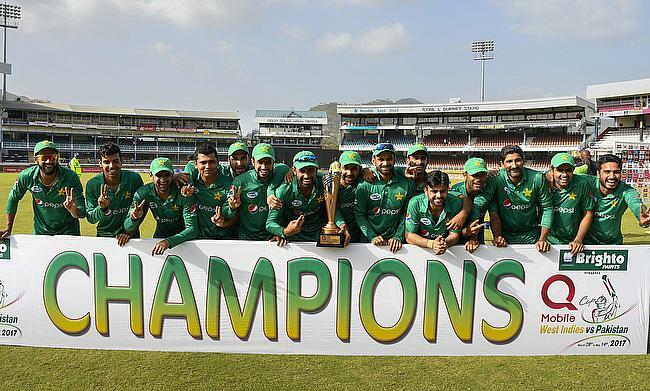 Shoaib Malik scored a brilliant century while Mohammad Hafeez supported him with a 81-run knock as Pakistan made a swift recovery to chase down 234 against West Indies with six wickets in hand in the third One-Day International in Guyana to claim the series 3-1. 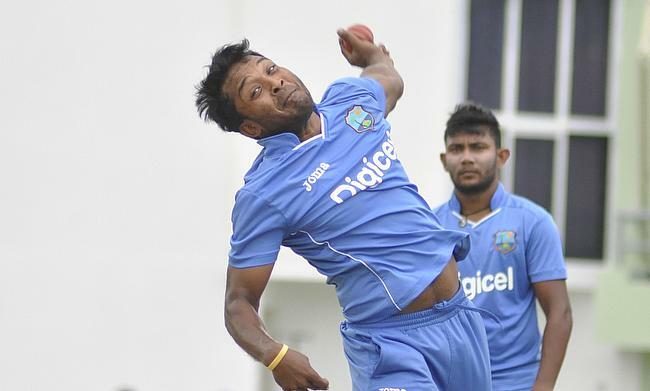 West Indies have added left-arm-spinner Veerasammy Permaul for the third and final One-Day International against Pakistan to be played in Guyana on Tuesday. 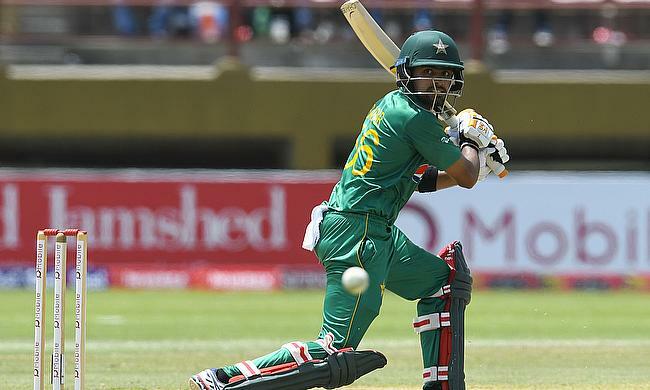 Babar Azam scored an unbeaten 125 while Hasan Ali backed it up with a five-wicket haul as Pakistan successfully defended a total of 282 runs by 74 runs in the second One-Day International in Guyana to level the series 1-1. 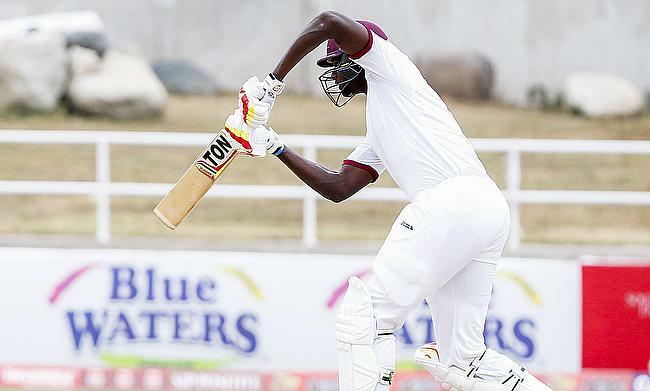 Jason Mohammad scored a decisive unbeaten 91-run knock as West Indies recorded their highest chase in One-Day Internationals of 309 with four wickets in hand in Guyana to take a 1-0 lead in the series. 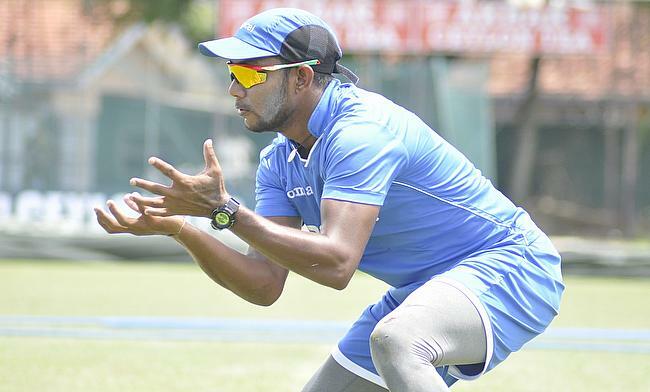 Former West Indies bowler Rajindra Dhanraj has been hired as a spin bowling consultant of the national team ahead of the One-Day International series against Pakistan. 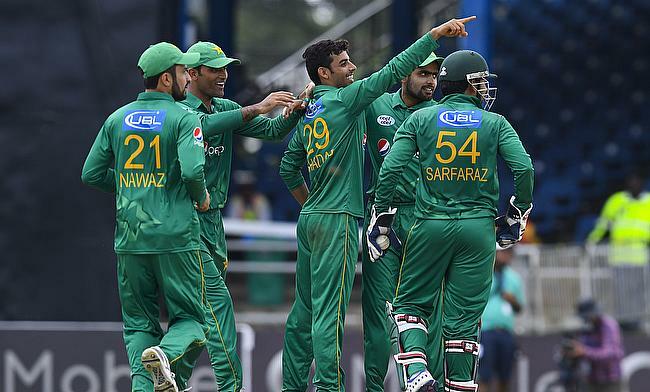 Uncapped leg-spinner Shadab Khan has been called up to the Pakistan squad for the upcoming Test series against West Indies following his man of the series performance in the Twenty20 Internationals. 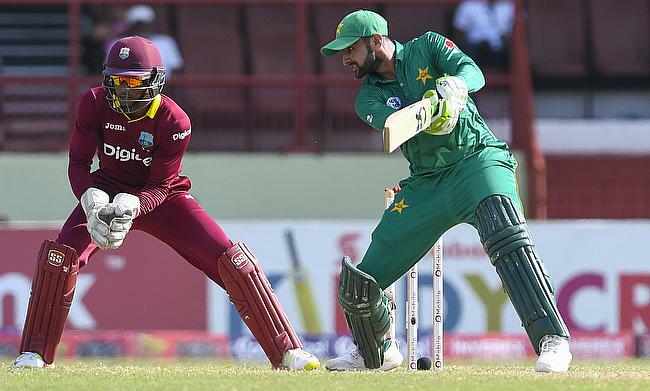 West Indies and Pakistan will aim for an automatic qualification in the 2019 World Cup tournament as they lock horns with each other in a three-match One-Day International series. 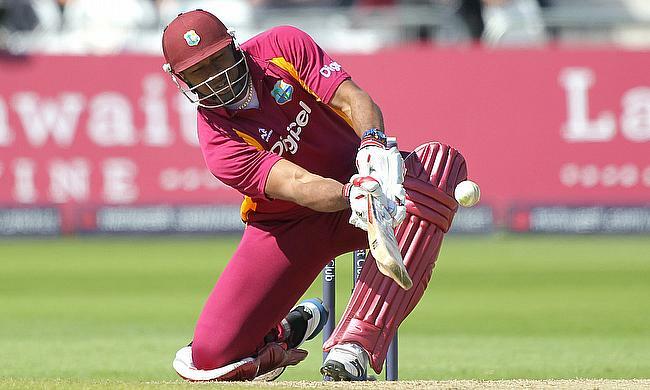 West Indies have announced a 14-man squad that will feature in the upcoming three-match One-Day International series against Pakistan to be played in Guyana. 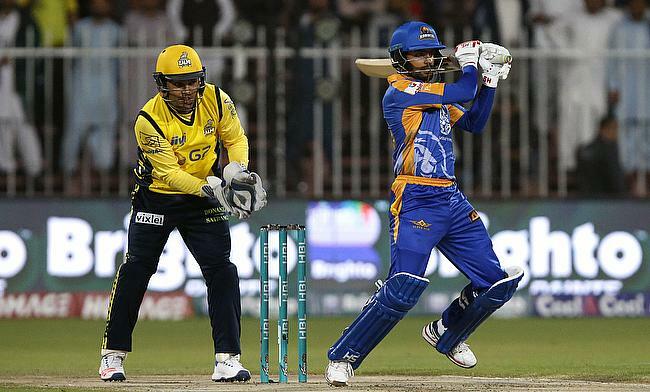 After Pakistan bowlers restricted West Indies to 124 for eight, Ahmed Shehzad led the chase with a brisk fifty to complete the chase in 19 overs with seven wickets in hand in the fourth Twenty20 International in Trinidad, thereby sealing the series 3-1. 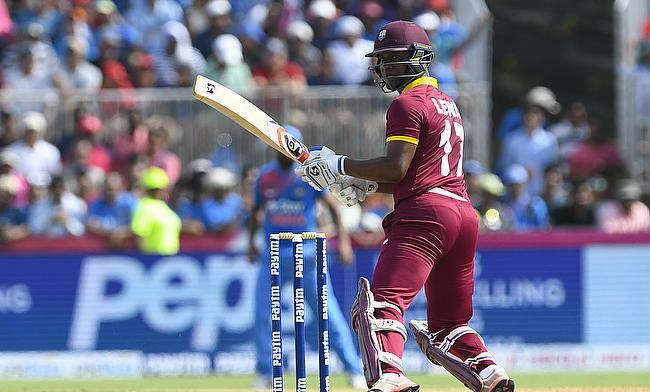 Evin Lewis scored a brisk 91 as West Indies chased down 138 against Pakistan in 14.5 overs to win the third Twenty20 International in Trinidad by seven wickets and keep their chances alive in the series. 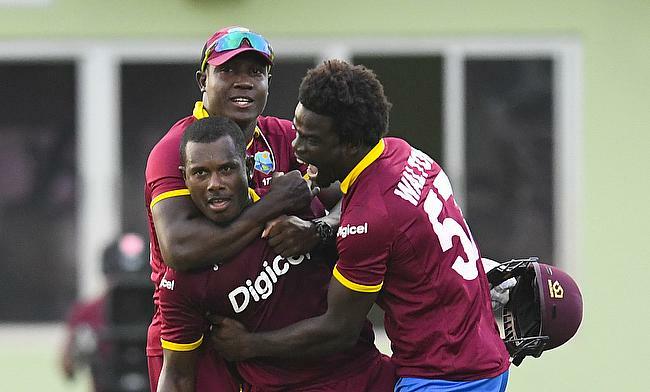 West Indies have retained the 13-man squad for the final two Twenty20 Internationals against Pakistan to be played at Port of Spain. 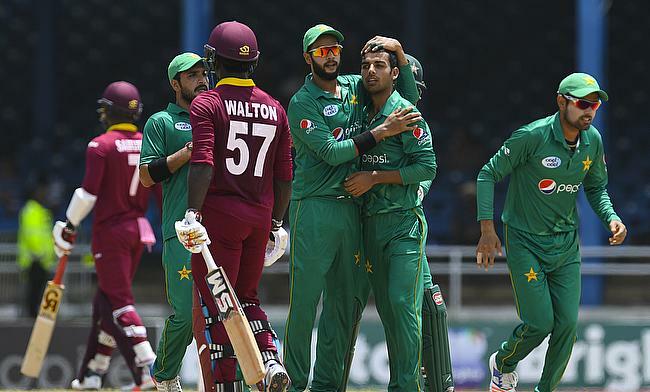 Shadab Khan continued his impressive run with a four-wicket haul that bowled out West Indies for 129 runs in a chase of 133 in the second Twenty20 International in Trinidad as Pakistan taken a 2-0 unassailable lead in the series. 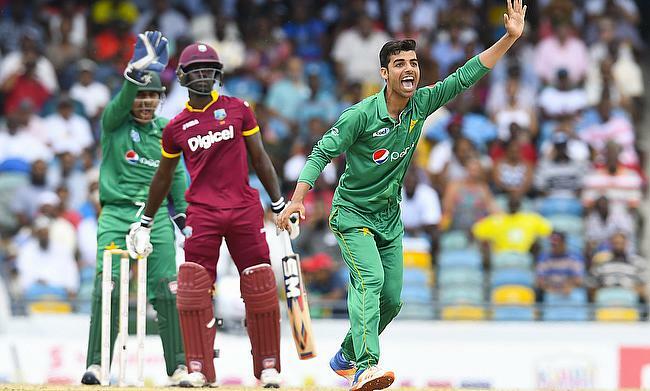 Shadab Khan makes a dream debut where he picked three wickets and conceded just seven runs as Pakistan restricted West Indies to 111 for eight and chased down the target in 17.1 overs with six wickets in hand to win the first Twenty20 International in Barbados and go 1-0 up in the series. 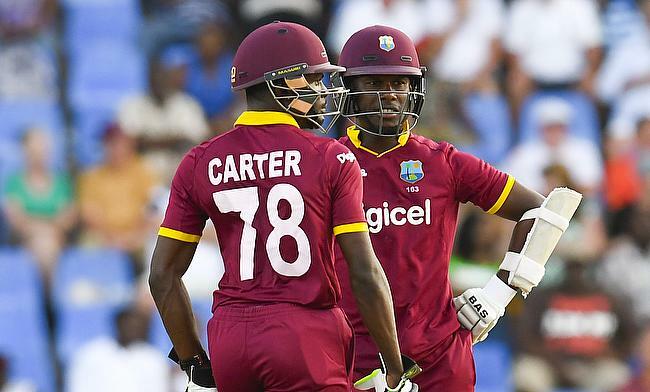 West Indies selectors have trimmed the squad to 13 members for the first two Twenty20 Internationals against Pakistan that kicks-off on Sunday. 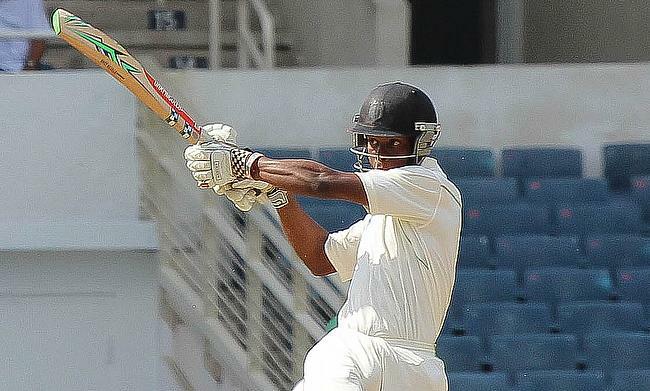 Trinidad & Tobago batsman Jason Mohammed has been called-up for the upcoming Twenty20 International series against Pakistan following his consistent performance in the 50-over format. 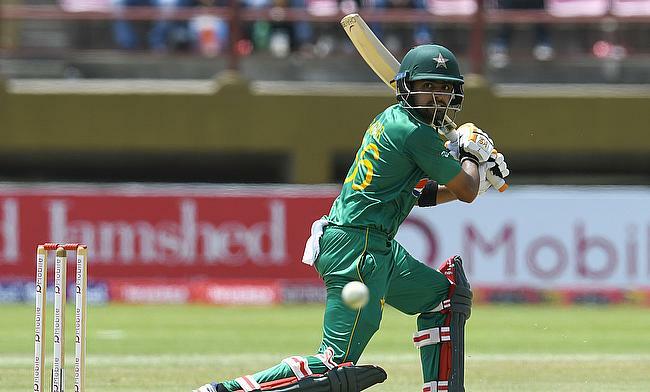 Pakistan selectors have recalled wicket-keeper batsman Kamran Akmal after almost four years for the upcoming limited overs series in West Indies. 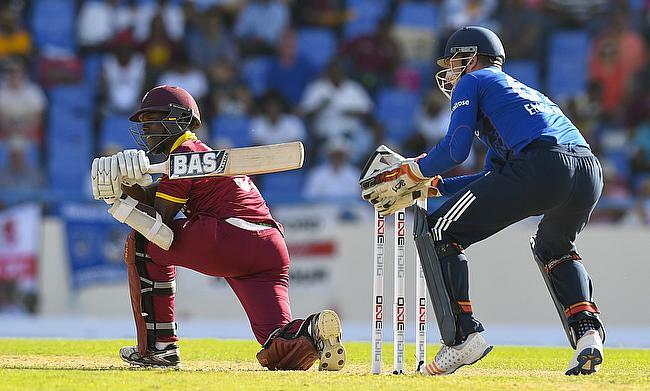 West Indies Cricket Board has confirmed that they will be hosting two additional Twenty20 International matches in Lauderhill during the upcoming series against Pakistan that kicks-off later this month.